The English language has changed a lot over time. The way it is spoken today is much different than how people used to speak it just a few decades ago. All kinds of new slang and phrases are now being used by the younger generation and in the media. Thanks to Slango, you won’t have trouble understanding them. It covers over 4M definitions so you can keep up with the new entries in our language. Slango is a powerful urban dictionary that helps you make sense of what some folks say these days. 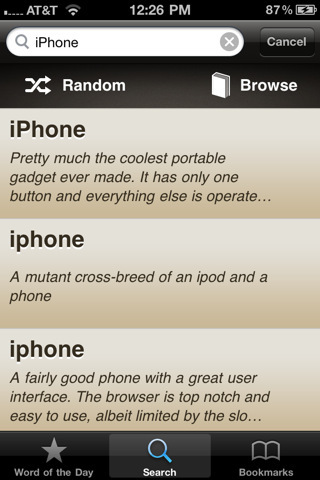 It covers 4M definitions and makes it easy to search through entries fast. Each day, you are provided with a new “Word of the Day.” Push notifications for that are supported. Slango has an attractive design. 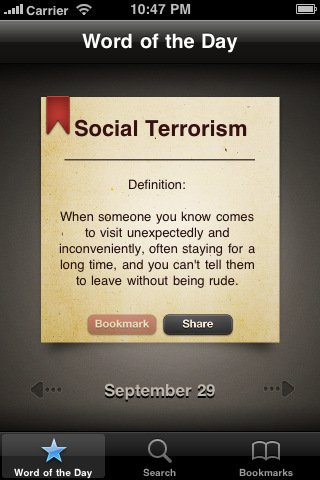 You not only find new words everyday, you have the option to share them with the world. Facebook, Twitter, SMS, and Email sharing are supported. The database is one of the best we have seen. It won’t have every slang under the sun but comes close. 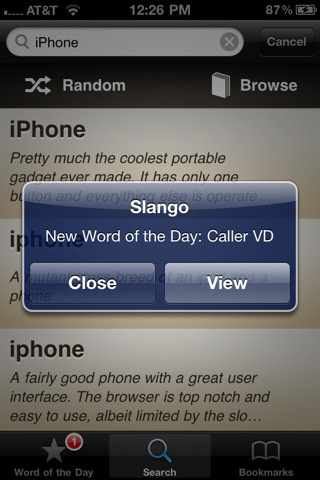 Thanks to Slango, you won’t have to invest in one of those modern urban dictionaries. It is fast and has a ton of definitions. The only downside is we are just no sure about some of the terms in its database.